Installing a standby generator for your home will prepare you for just about any event that could knock your power out. However, the process is not as simple as picking one, paying for it, and having it delivered. A generator is not a “plug-in” appliance. It is a complex and involved process that can take multiple months. A full-service generator company like EmPower Generators will handle everything for you from permits, to electrical work, engineering, pads, propane tank burial, natural gas connection (if the property is on the grid), and much more, but it is always good to know what you are getting into ahead of time. The first step of installing a generator is determining where on your property you are allowed to install the generator and engineering the plans. EmPower Generators produces the drawings and calculations required by your municipality. Generator permits are required throughout Broward County and most other municipalities. This means that a permit application must be completed and submitted to your municipality’s building department with the plans that were previously created. 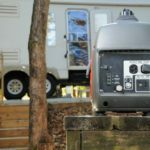 A site plan and/or survey is needed to show the property boundary lines in relation to the placement of the generator. The site plan must show that everything meets the zoning laws in order for the permit to be approved. Diesel generators are a popular option because diesel fuel is cheaper, more efficient; diesel engines require less maintenance and last longer. During the permitting process an additional review by your municipality’s Environmental Review Board is conducted. This review board will look at your plans to make sure the generator installation will meet standards set by the Environmental Protection Agency. Once a permit has been approved and issued, you may move forward with having your new standby generator delivered and installed at your home. 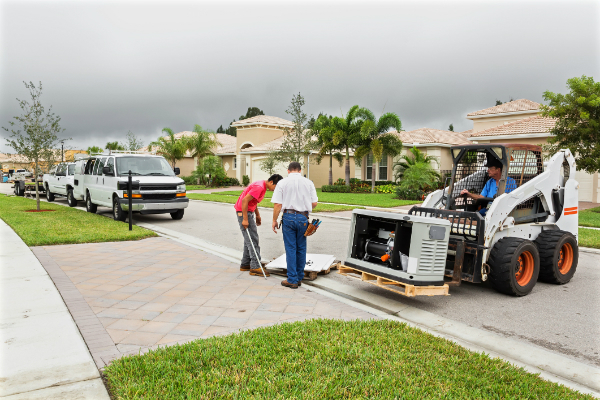 Installation of powerful standby generators is not simple and requires a professional. Proper installation requires knowledge not only of the generator specifications but also in gas and electrical connections. The last step to complete before you consider your electrical generator installation is inspections. EmPower Generators will contact your municipality with the permit number and schedule a day that is good to have the inspectors come out and make sure the generator was installed according to the plans. Once all of the inspections pass, the process is complete! Yes! When you look to EmPower Generator for a new standby or commercial generator installation, we will inform you that permitting is required. Luckily, we have experienced staff that can handle the permitting and inspection process for you. We insist on permits for the benefit of our clients as well as the protection of our company’s reputation. A generator installed without a permit could lead to heavy fines from your city or town should they ever find out. All it takes is a neighbor bothered by the loud sound to file a complaint with the city. If you are discovered with an unpermitted standby generator, not only could you receive daily fines until the structure is properly permitting, but you could also be required to remove the generator completely. Additionally, certain standards are set to ensure that any new generator installation is safe for you, your family, and your home. A permit application will be rejected if it does not meet any one of the state, county, or city codes. By getting a permit issued, you get peace of mind that the company selling and installing your generator has provided you with a quality product and service. If you are looking to have a generator installed at your residence, contact EmPower Generators. We are pros that believe in providing top quality service to properties in South Florida. We provide a full service experience and handle the whole installation process for you to make sure it is as seamless as possible. 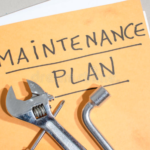 If you sign a service agreement, we will even handle the maintenance for you moving forward! However, the installation process does take time. This why we encourage you to start the process now, and we will have the generator good to go before the next hurricane season comes around! Top 5 Portable Generators 2018 Do I Need a Generator Service Maintenance Plan?